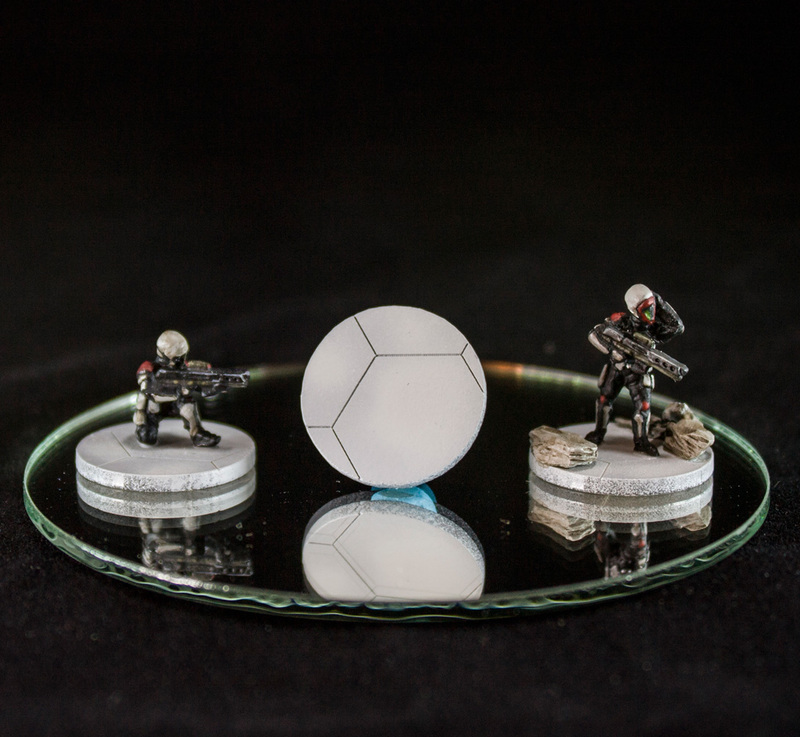 These are laser-cut acrylic bases with a sci-fi hexagon pattern etched on them. They come in clear, but are easily painted with standard paint. They are almost exactly the same size as a U.S. penny. Check out the Videos tab for tutorials on how to cut-off the integral base on many 15mm miniatures, and attach the figure to the acrylic base. They come twelve to a pack. This entry was posted on Thursday, August 7th, 2014 at 08:50 and is filed under News. You can follow any responses to this entry through the RSS 2.0 feed. You can leave a response, or trackback from your own site. Looking forward to other styles of basing.